You’re invited to join Garage48, British Embassy, and Startup Estonia for a very important gathering: the Idea Garage Cyber Security meeting, January 23rd in Vilnius. Idea Garage Cyber Security will bring together people from many different fields: data scientists, cybersecurity experts, data protection professionals, designers, developers, marketers, and project managers from Latvia, Lithuania, Estonia, and the United Kingdom. All these experts will come together to brainstorm on security and technology, and to prepare ideas and challenges for a region-wide hackathon in Spring 2018. 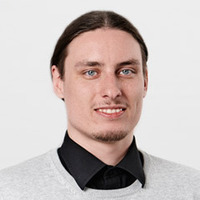 Vidmantas Kabošiš, Engineering Manager at Toptal, will be on site and participating. Make sure you join us for this exciting event if you want to hear more about Toptal. The event begins at 9 AM at Rise Vilnius. For more information, please visit the event posting.